Blow through the project with Betcos high value Air Mover! 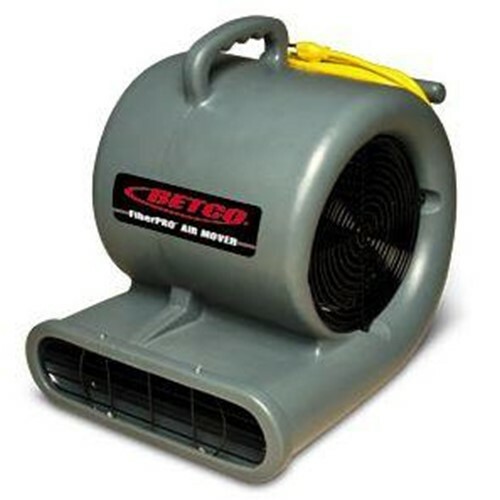 Betcos FIBERPRO AIR MOVER features a dynamically balanced galvanized steel fan cage for smooth quiet and dependable operation. The rotational molded polyethylene 1-piece housing offers extreme chemical and tough crack resistant construction. The AIR MOVER comes standard with long lasting epoxy coated steel fan guards for added safety. All these notable features as well as a safety yellow power cord make the Betcos FIBERPRO AIR MOVER a great value.